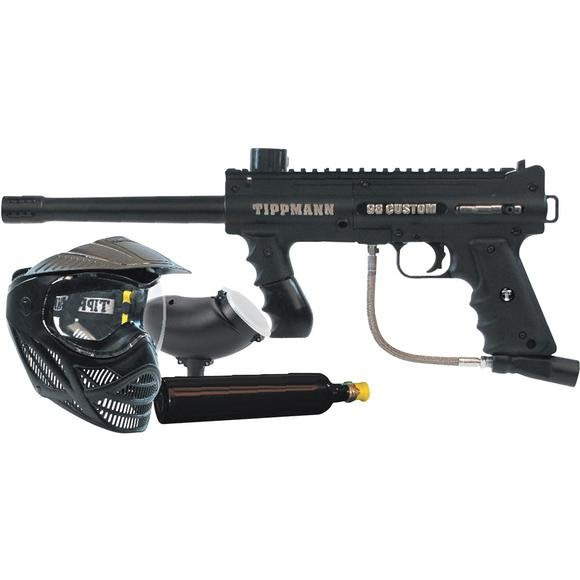 Tippmann's 98 Custom Ultra Basic is the most reliable marker in paintball. The out of the box performance features the proven inline bolt system combined with the split receiver design which makes it easy to upgrade and maintain. This complete kit will have you on the battlefield in minutes. Tippmann &apos;s 98 Custom Ultra Basic is the most reliable marker in paintball. The out of the box performance features the proven inline bolt system combined with the split receiver design which makes it easy to upgrade and maintain. This complete kit will have you on the battlefield in minutes.